Speed Dating is a kind of matchmaking parties, whose purpose is to encourage people to meet a large number of new people. This game is s kind of brainy puzzle for kids and adults. 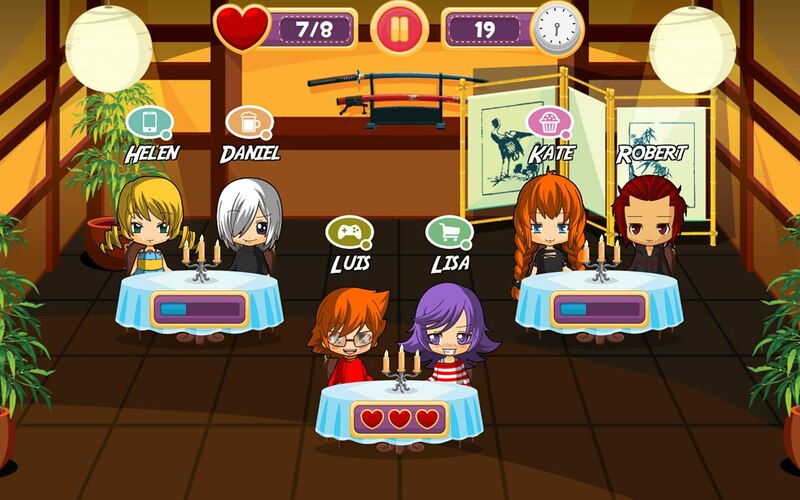 Player should shuffle characters between tables and help them to find their soul mate. 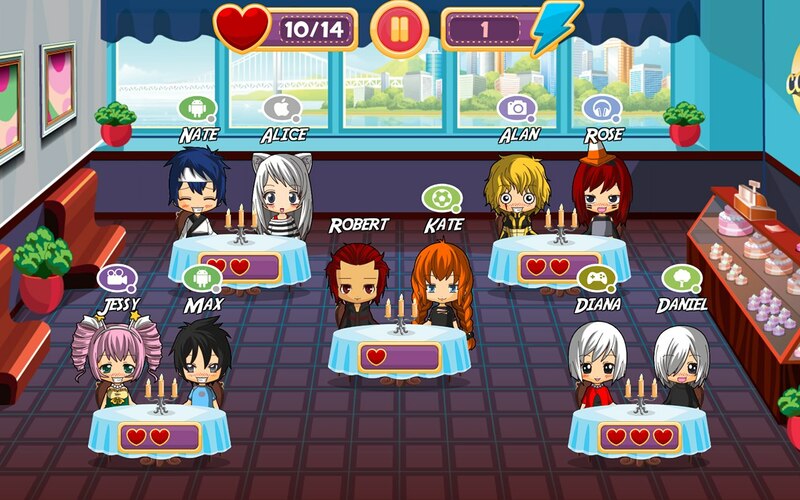 How-to-play: drag and drop chibis between tables, define their likes and dislikes and get enough points to unlock the next level. Paying attention to their hobbies could be useful in some cases. Or you could just simply memorize the grade of their mutual attraction and use trial and error. For every completed level the player receives a number of gems, that could be used to buy character cards in the card shop. There are a few games modes: "easy", "hard", "think", "memorize". In the first two modes the player should score total points before time is up. In the "think" mode one should pay attention to the hobby clouds and score total points in minimum turns. In the "memorize" mode you should remember who has sat with whom and then seat them accordingly. If you like our game you could support the developer and buy deluxe version. It will include new characters, super challenging levels and no ads.